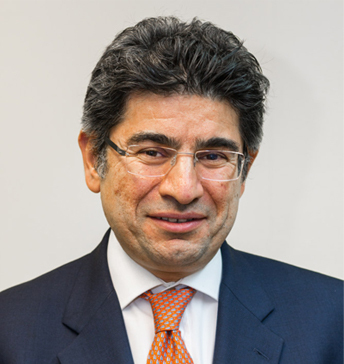 Bijan Khoubehi is a Consultant Urological Surgeon at Chelsea and Westminster Hospital NHS Foundation Trust. He qualified at Charing Cross and Westminster Medical School in 1994. Following basic surgical training, Bijan carried out his urological training in London. Having completed his general urological training, he undertook two fellowship years in Urological Oncology. Mr Khoubehi was awarded an MD thesis for research into the role of developmental genes in prostate cancer. He treats patients with general urological conditions and has a special interest in uro-oncology including nerve sparing Robotic radical prostatectomy, radical cystoprostatectomy and ileo-orthotopic bladder substitution. Bijan has also been trained in laparoscopic surgery and performs laparoscopic and robotic procedures for renal cancer and has been awarded a British Urological Foundation scholarship for Robotic Surgery. He has been performing robotic surgery since it became available in the United Kingdom. Bijan Khoubehi is the lead clinician for urology at his NHS practice and has a busy urology practice performing robotic, laparoscopic and open surgery for urological cancer. He has published widely in peered reviewed journals.